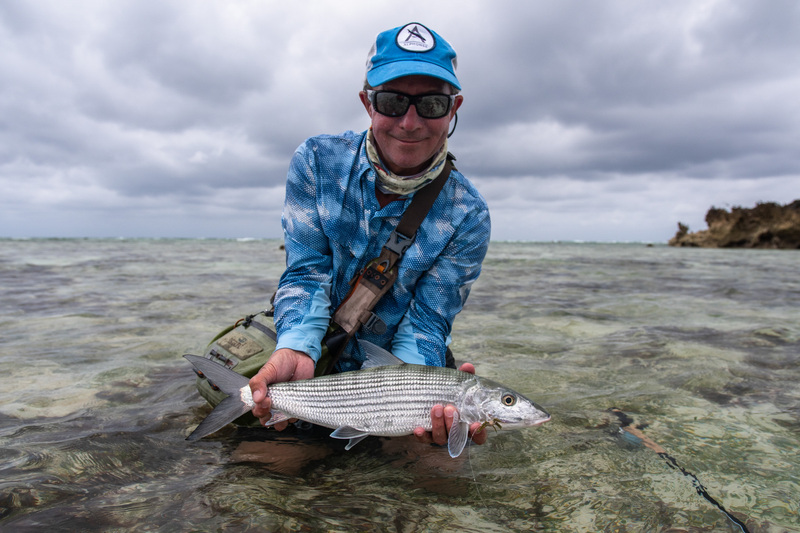 Laid dormant for the off season the fish residing on the flats of Astove have not seen a fly for six months. 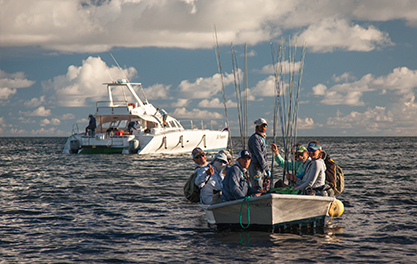 Both guests and guides are itching with anticipation to see what the atoll has to offer and what secrets she will give away. 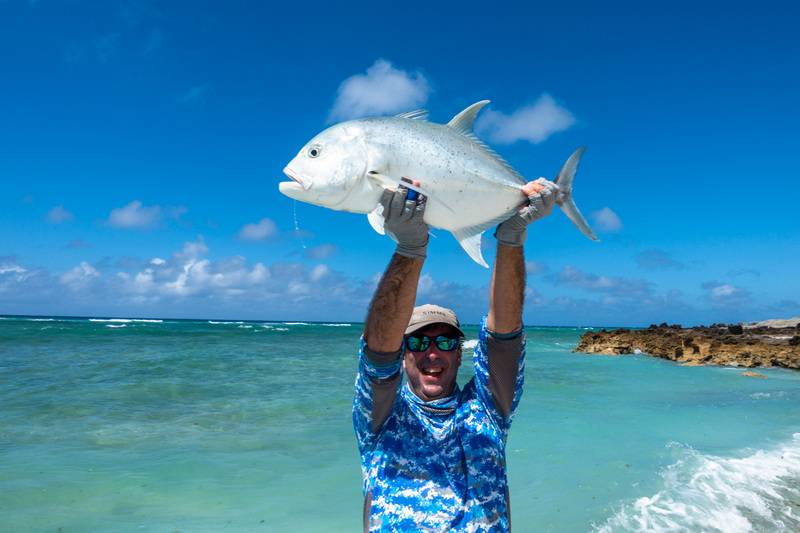 Two guests, John Horlock and Robert Gilcrest were lucky enough to have the atoll to themselves on a 10 day trip to Astove and with spring tides moving to neaps, the lagoon was the flavour of the day! 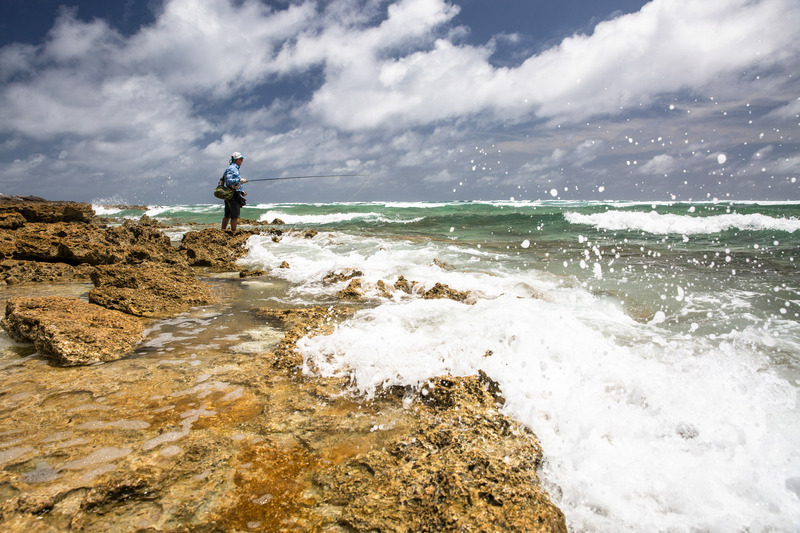 While walking from Jurassic island we spotted a shimmer of nervous water and a flash of gold. 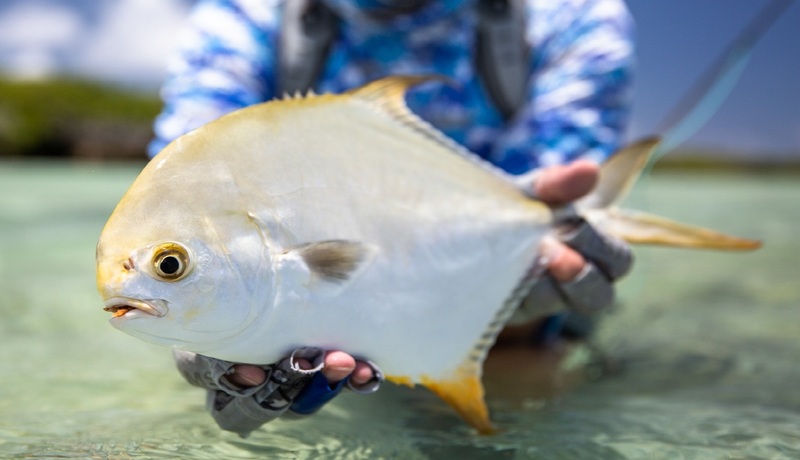 Three strips later a size two flexo was inhaled by this golden beauty, Rob’s second indo-pacific permit and the first to kick off our season and prizing him with a grand slam for the week. 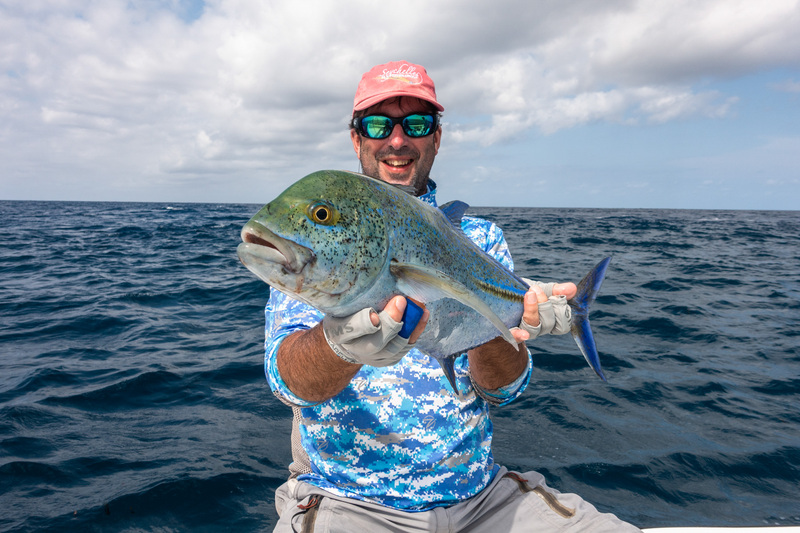 While Rob bent into a few GT’s, the best of which was 85 cm, John unknowingly crowned himself the king of bluefin bringing three fish of over 70 cm to the boat along with countless others. 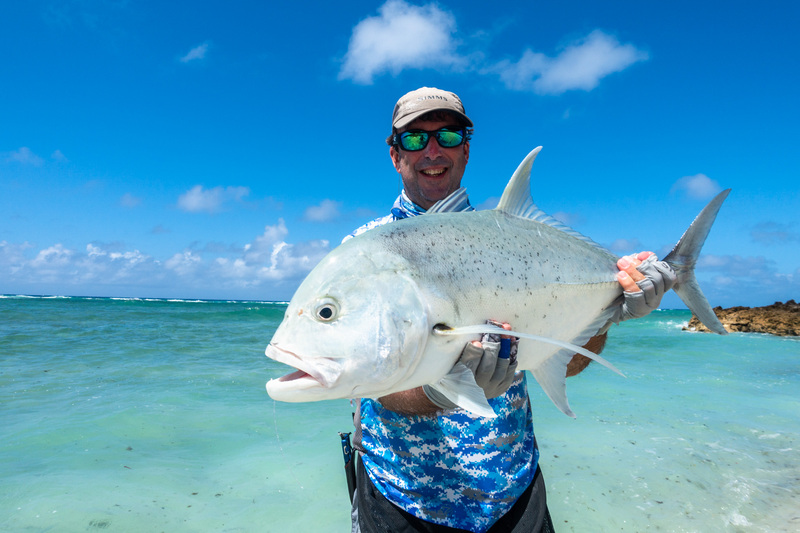 John was able to pick fruits from the milky waters of the mouth, spotting the glint of a GT cruising the shallow coral edge and after battling this fish away from sharks the fish was safely brought to hand. 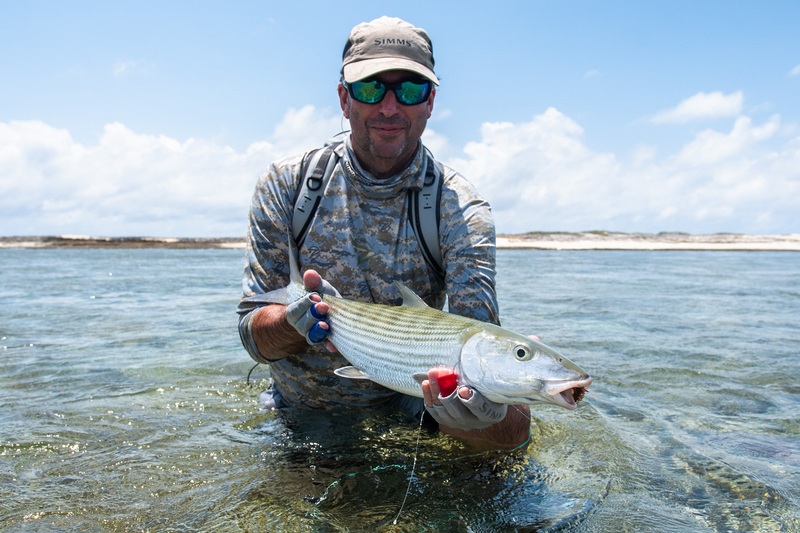 While the initial GT fishing in the surf proved to be quite slow, a steady stream of big, green-back bones in inch deep water kept rods bent. 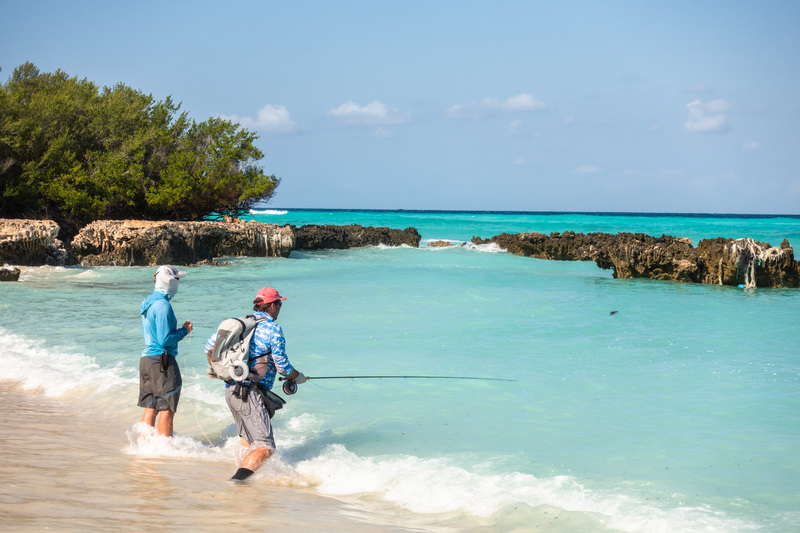 Hooking a six-plus pound bone in a shallow coral garden gives a contrasting challenge to playing one in a sandy lagoon. 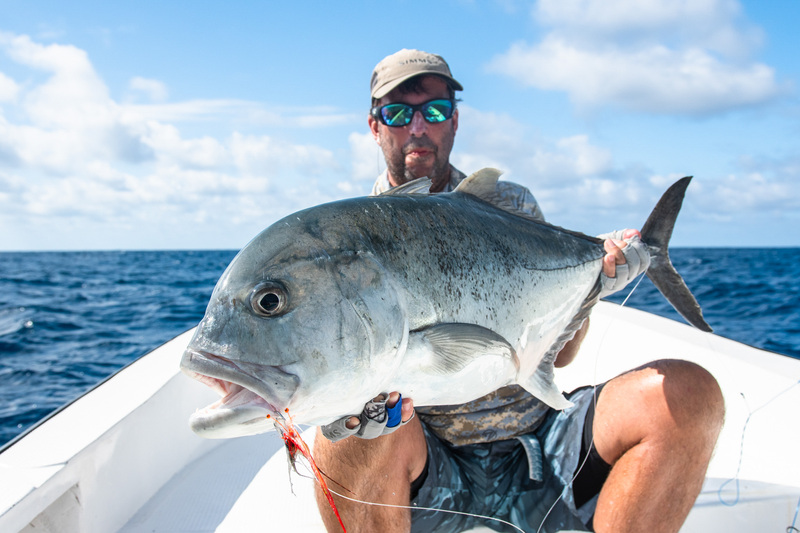 Milliseconds from feeling the sting of the hook they roar off like a jack russel desperate to escape its leash, stitching and weaving their way through and around coral in a frantic bid to break free! 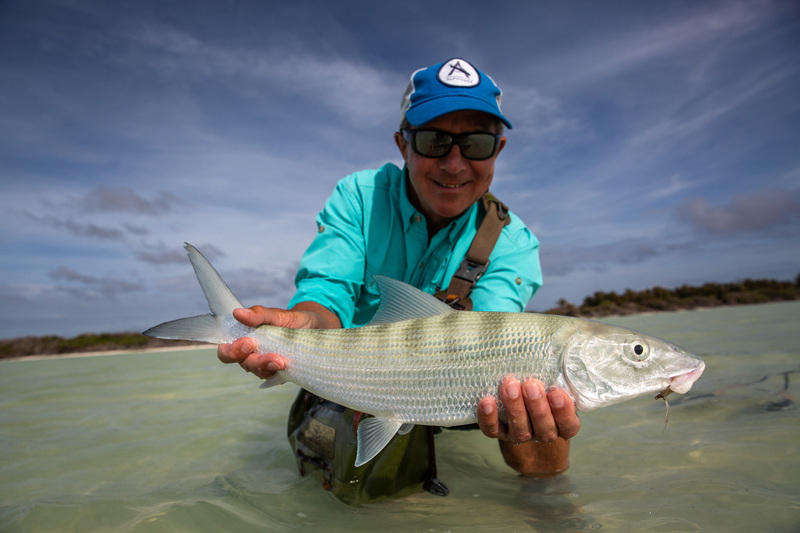 With nearly 100 bonefish landed, several bluefin and some good rod-bending GT’s, fantastic guests and with the guides in good spirits, it was a great start to the Astove season.